TERRE HAUTE, Ind. 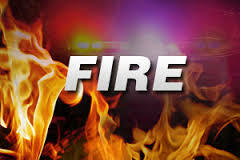 – Investigators say that the burning of weeds is is the of the fire at Prairie Farms on North 2nd Street that happened around 7:30 Wednesday night. The cause of the fire is officially being ruled as an accident. Officials say that flames from a small propane torch got out of hand and spread to the storage building.